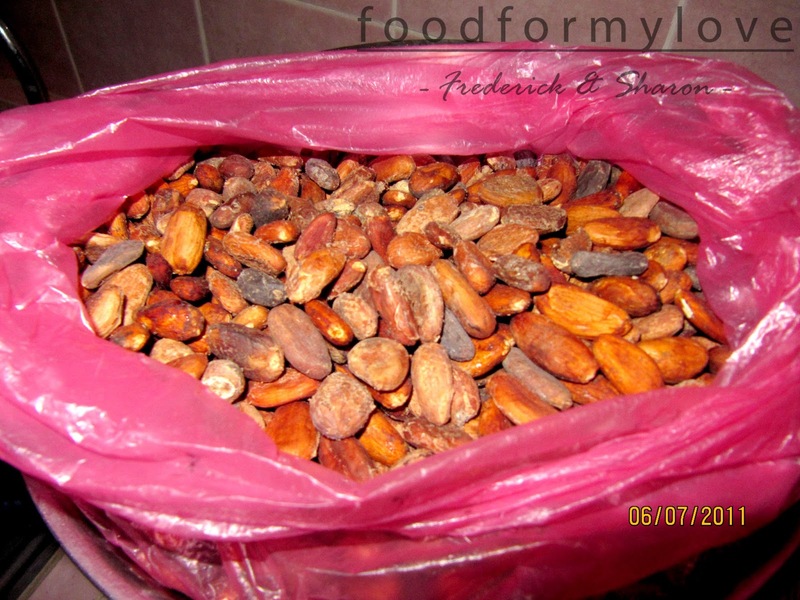 1) First you have to make sure that you have fruit bearing cacao trees. The cacao fruit is called cacao pod that has an elongated shape. It has a green color that turns to orange or yellow when ripe. Pick up the ripe cacao, split open it and take out the seeds. 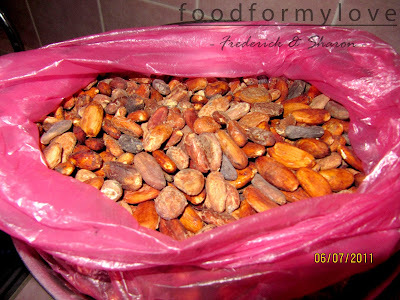 The cocoa seeds is usually wrap in a white flesh, the pulp, which is also edible. Normally, we eat the pulp and leave the cocoa seeds. 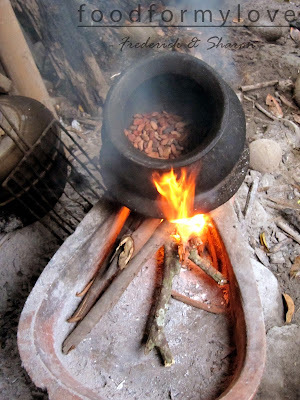 3) On a clay pot, roast the beans until it turned very dark brown. Roasting the beans in an oven is also possible. Roasting the beans will take 30minutes up to an hour or more. 4) Now we do cracking and winnowing of the roasted cacao beans while the beans are still hot. 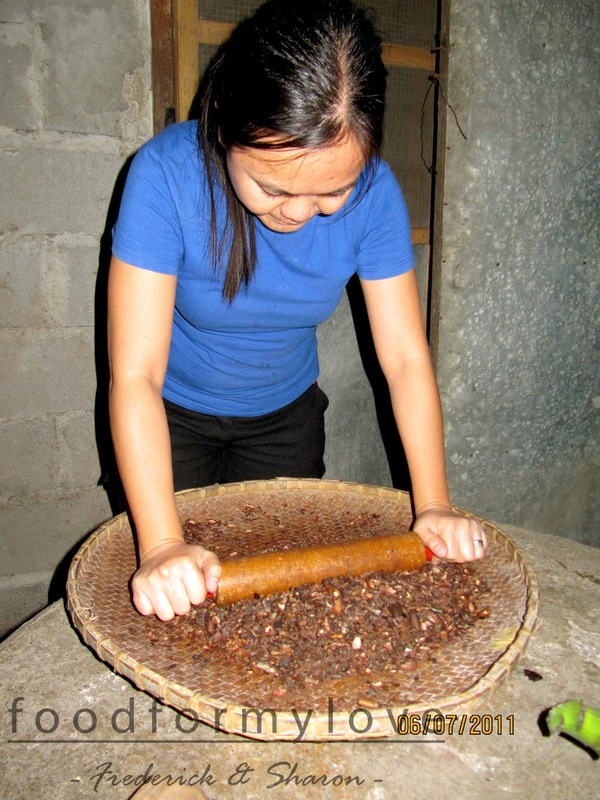 We break the cacao beans into pieces to separate the shell/husk from the nib. 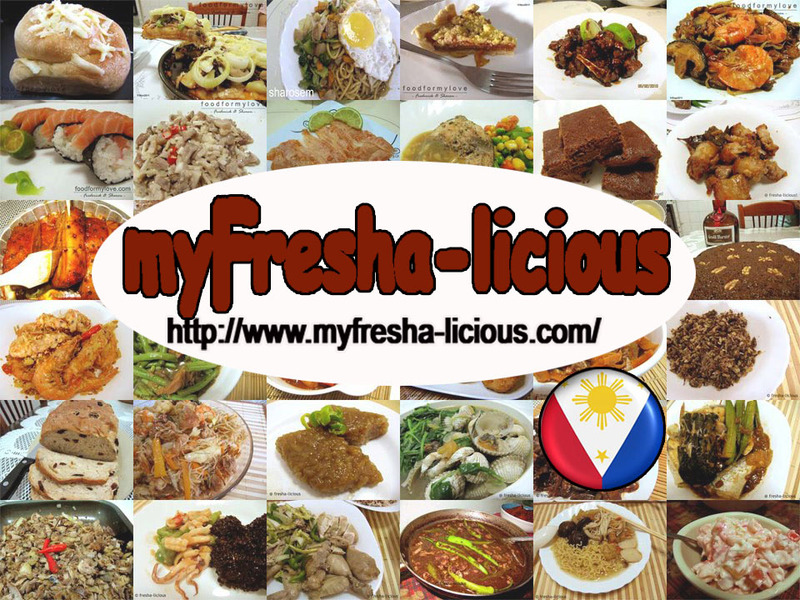 Mortar and pestle can be used. We used a rolling pin and the bilao to crack open the beans and then we took out and discard the shell with our own bare hands. 5) So we have some cracked nibs left. Grind the nibs into fine powder, sometimes we get cocoa butter and cocoa in liquid form. 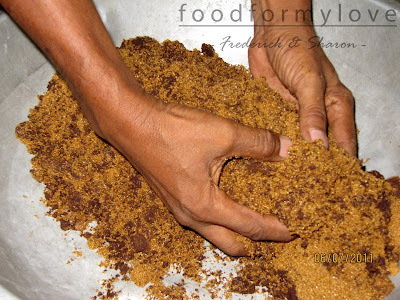 6) After grinding, mix the cocoa powder with brown sugar. The ratio of which is 1 is to 1 (1 kg cacao powder + 1 kg brown sugar). 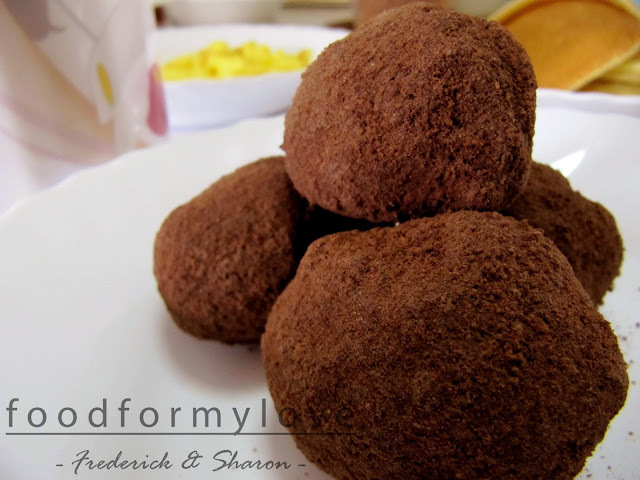 Form the mixture in a ball and store them in a sealed and dry container. Hi Sis! What kind of cocoa do you have? Is it a native variety?